« Should I Buy a Gray Market Camera? You've probably come across the term "tested for ###,### cycles" at some point in your research about Nikon cameras and their shutters (Canon uses similar terminology). What the heck does that mean, and how do you check your shutter to see where it stands? Well, I have some not-so-great news for you: you don't tend to find that wording in the Nikon camera specifications any more, and we almost never saw it for the consumer cameras. For example, its not listed for the D3400, and for the D5—a body for which you'd expect a lot of attention to details that are important to professionals, such as expected longevity—you don't find that shutter cycle information in the Specifications section of the D5 manual, nor does it appear in the Technical Specifications on the NikonUSA Web site. Where you do find it is in the marketing brochure for the D5 (page 33), in the section on "Durable, high-precision shutter." Here's the wording: "Tested for 400,000 cycles with the shutter unit actually loaded into a fully assembled camera..."
Ever since this type of wording first appeared (back in the film SLR era), people have been interpreting it incorrectly. Most think it's something akin to MTBF (mean time before failure). Others believe it is a promise of a minimum for how long a shutter will last. Nope. It means pretty much what Nikon wrote: someone took the time to run a torture test on at least one sample and then reports that as a marketing message. So how does the D5 shutter actually do in real life? Lest you think that mirrorless cameras are better than DSLRs in this respect, not really as far as we can tell. The Sony A7R works out to 229,144 actuations for the average before death. The Canon 1Dx DSLR did a bit better at 258,231, though worse than the D3. Why do shutters die? Because the individual curtains of a shutter move with micron-level precision while subjected to extreme acceleration and speed. An individual curtain moves as much as 24mm in less than 3ms. That's an average speed of 18 mph (29 kph). And it has to do that with almost instantaneous start and stop. Repeatably and reliably. A "cycle" means the shutter goes from closed to open to closed position. With Live View as it is currently implemented on most cameras, that means using a Live View session for any number of (non-flash) photos constitutes one cycle. A single video is one cycle, as well. Which brings us to the question I always get: "Is my shutter about to fail?" My answer is always "I have no idea." I certainly wouldn't expect a shutter to fail in a new camera and in its first 10,000 images. But start carrying that camera around in airline overhead bins (vibration) and bouncing it over dirt roads, accidentally banging the camera against something (or dropping it), and I might start to say that you're making an eventual shutter failure more likely. Likewise, not using a camera for very long periods, or using the camera repeatedly for a long period would tend to impact results (in the former you have a mechanical device at long rest that suddenly has to perform its amazing miracle of moving quickly on demand; in the latter you're putting repeated stress and wear on those moving parts; in both cases, lubrication or slipperiness of the shutter blades would be a factor). I know photographers who've had shutter failures in 20,000 images. I know other photographers who've gone over a million images without failure. It's a bit like autos (or trucks): some seem to have no mechanical issues despite being driven long and hard, while others do have issues, even though they've barely driven around town. Is there a way to know if you're shutter is about to die? 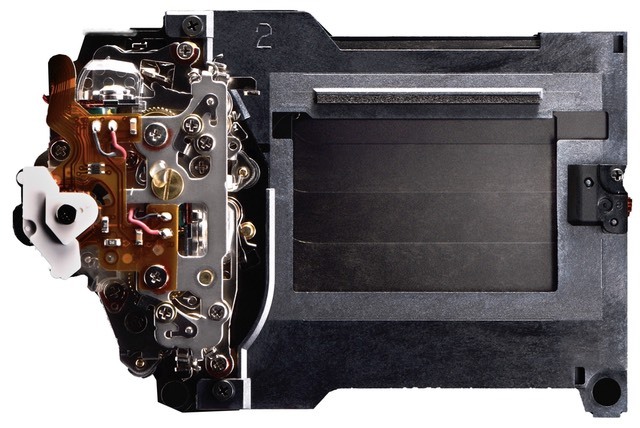 The Nikon bodies have built-in self checks for both the mirror mechanism and shutter. Those checks tend to measure both time and position. A correctly operating shutter will have the blades back in a known position at the end of an exposure, and they would have gotten there within a known amount of time. When that doesn't happen during an exposure, it's one of the things that will cause the camera to show ERR on the Top LCD and perhaps even temporarily shut the camera down. A single ERR message once in a blue moon doesn't bother me. Such a message might not have been from the shutter at all. It just means that something the camera expected to happen didn't happen in the time/way it expected. For instance, I've seen mirrors not return to the proper position at the end of an exposure. This isn't always because of a mirror mechanism failure. Sometimes its because the camera got "lost" (usually because I was doing something complex with low battery condition). So, a single such ERR message that doesn't repeat I don't worry about. But if you're shooting and you get repeated ERR messages (continuous or intermittent), I'd say it's time to have Nikon look at the camera. Like an automobile, when it's on the test rig at the repair station, they can often immediately get a report of what's causing the error, and yes, it might be that your shutter is no longer performing to spec.